The remit of public health is undergoing major transformation in the UK, and specialist community public health nurses are at the forefront of the changes. 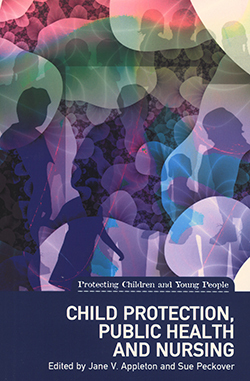 Much of their work will include child protection, which is the subject of this book. Chapters are written by experts in healthcare, giving unique insights into nursing roles and crucial interventions. The editors have also included a wider remit of public health so that it encompasses work in hospitals and the community. The authors provide a balance by recognising the challenges to this approach, including the effects of austerity. Overall, this is an engaging and informative text which would be a valuable purchase for many practitioners, particularly those undertaking specialist community public health nursing courses, many of whom may have significant child protection roles in practice.